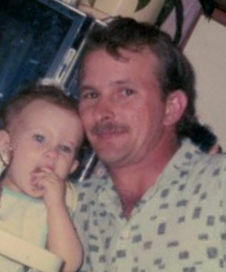 Steven Lee Hardy passed away at his residence on March 23, 2019. He was born on November 21, 1960 to the late Joanna (Ingle) and Alan Hardy. He was a loving son, brother, father, grandfather and friend. He spent the early years of his life in New Harmony, Indiana, served our country for a short time in the Navy and was devoted to his faith. Steve is survived by his daughter, Brittany Hardy; grandson, Nikola Crook; son-in-law, Jason Crook and nephew, Nick Hardy. Steve was preceded in death by his parents and brother, Bruce Hardy.